Unless otherwise excused, practice starts at the outdoor track at 2:45 (Fri @ 2:35). Athletes that have to stay after with a teacher should bring a note to their event coach if they are late. – Athletes should attend practice every day after school. However, if an athlete is going to be absent from practice, they should contact me and their event coach via e-mail, otherwise they have an unexcused absence. – Unexcused absences may result in suspension from a future scheduled competition. – Last practice for athletes not competing in the post season is May 8th. – Last practice for athletes whose last meet is the Bay State conference meet is 5/15. – All state meet qualifiers will continue to practice through the D1 state meet. If athletes are in Natick and don’t have previous commitments, they are expected to be at practice during the vacation. Likely practices will be during the morning of 4/17, 4/19, & 4/20 at the high school track. More information about practice dates will be available as we get closer to the holiday. If your athlete has a family commitment or other acceptable reason for not being at practice, they should inform their event coach prior to the holiday. The Bay State League Relays is 4/18 and all athletes should plan to participate if they don’t have a family or school obligation. 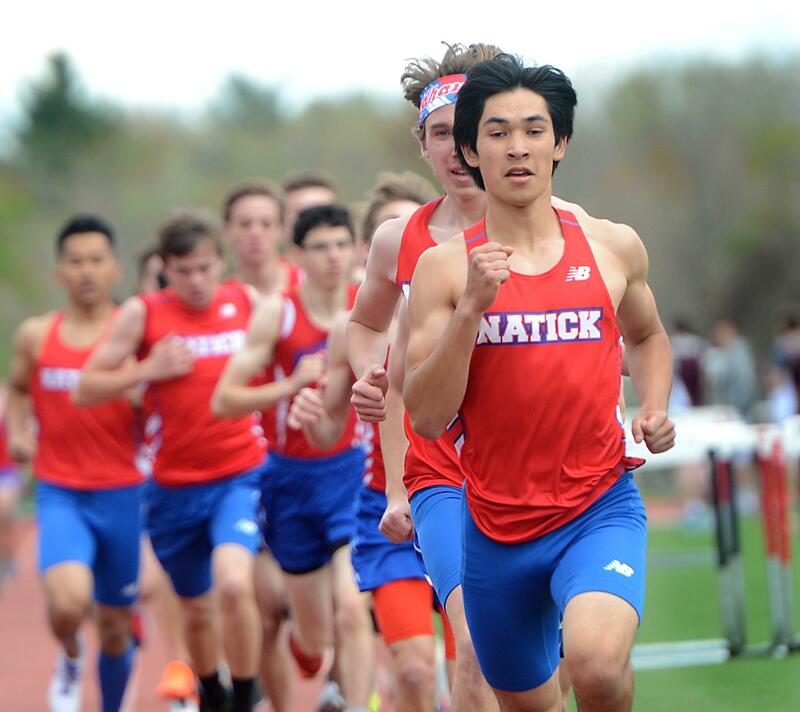 IMPORTANT: If you are being picked-up by a parent from an away meet that we use a bus, the parent must send an e-mail to me (matthewmiller@natickps.org) stating the intention to pick-up the athlete from the meet. The e-mail should be sent no later than the morning of the dual meet or the Friday before a weekend meet. Athletes may ride with another parent, but an email giving permission should be sent to the athletic director, tcollins@natickps.org . Start times as indicated. There is a bus to each event unless indicated otherwise. LOOK AT THE BOTTOM OF THE PAGE FOR INFORMATION ABOUT INVITATIONALS. 1/4″ pyramid spikes may be used in all events as practical. It is STRONGLY ENCOURAGED that athletes stay at home meets until the last event. * – Qualifier. Not all athletes will attend. Click on the link for more information about the competition and meet standards.